Know affectionately as New Zealand's Garden City and one of the street art capitals of the world, Christchurch is the largest city in the South Island. Loved by locals and visitors alike, the city is buzzing with things to do. 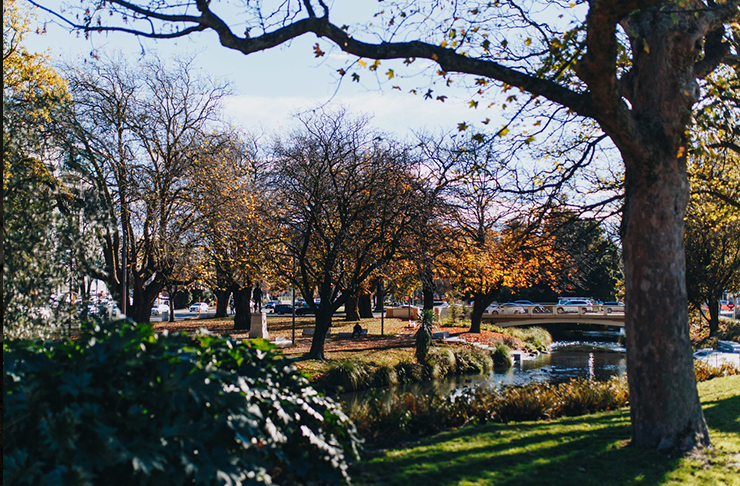 With a strong arts scene, adrenaline activities and the beautiful Avon River running through it, there is much to love about Christchurch. 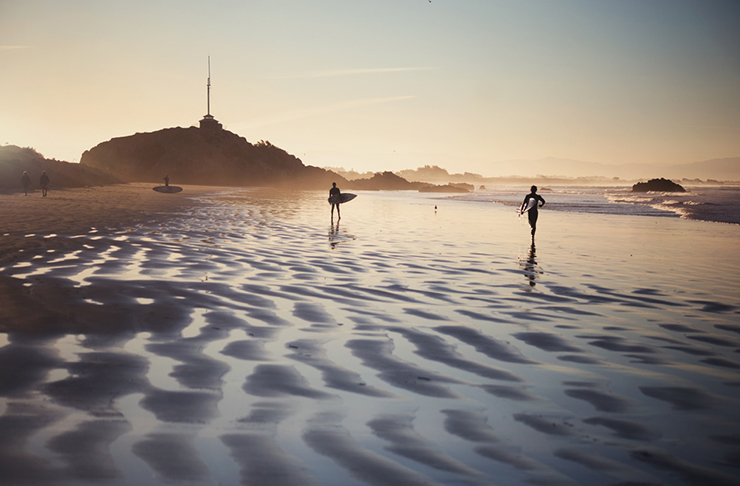 Whether you're a local looking to shake up your weekend or a visitor, here are the best things to do in Christchurch. With a combination of Brooklyn-meets-Melbourne laneway vibes, Christchurch holds its own when it comes to a burgeoning street art scene. So much so, it was recently named one of the street art capitals of the world by Lonely Planet. You’ll find vibrant canvases of colour throughout the city, each telling their own story. DIY your own tour with the help of Watch This Space—or book a guided tour. 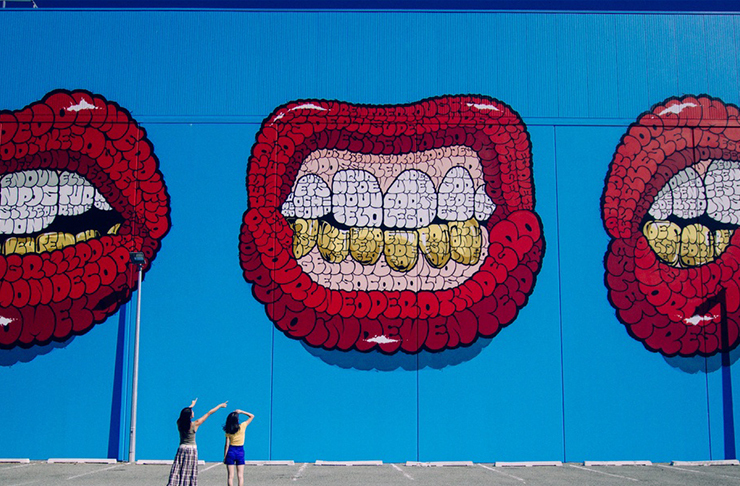 When it comes to strolling, be sure to make your way to the Rolling Stone style lips by French artist Tilt and Plymouth Lane’s No Place Like Home by Kiwi artist, Flox. For something different, hit up Style Walls 2018. Five street artists battled it out to create this 3D exhibition which is now displayed on massive paint cans. Set amongst the towering pine forest and Cashmere valleys, Christchurch Adventure Park is a must-visit whether you’re a thriller seeker or not. You don’t need to be an experienced mountain biker to enjoy the 358-hectare park, but it is home to some of the best trails in the country. Otherwise, there’s a walking track with a free gondola ride back to the base and the highest and longest zip line tour in New Zealand with panoramic views over Lyttelton, Diamond Harbour, the city centre, Southern Alps and Lake Ellesmere. No trip to Christchurch is complete without checking out the newest and flashiest library in the South Island, Tūranga Library. Peruse each of the four floors, experience virtual reality, spend some time interacting with the seven-metre touch screen Discovery Wall and finish your visit by grabbing lunch at Foundation Cafe, which is located on the ground floor. An iconic afternoon destination for both residents and visitors since 2003, Christchurch Art Gallery Te Puna o Waiwhetu is the city’s treasury of art, history, images, memories and ideas. Check out their calendar for everything from portrait exhibits to film and captivating installations. They also have tours and events you can attend to learn more about the artists and activations. Located on Worcester Boulevard in the central city, combine your visit with a trip to the Arts Centre, the Museum, botanic gardens or a coffee in the many nearby cafes. Summer in Christchurch is all about the festivals, events and just generally getting out and about. With everything from outdoor cinemas to the Lantern Festival, there's something for everyone during the warmer months. Also On the agenda is the Bread & Circus World Buskers Festival, a month-long extravaganza of art and music with performers from all over the world descending on the city in January. We’re talking all sorts of weird and wonderful things, including cabaret, circus acts, acrobatics, magic tricks, opera, interactive performances, and music—need we say more? The 14-kilometre Ōtākaro/Avon River runs through the heart of Christchurch, offering plenty of scenes along the way. Try your hand at punting, kayaking or peddle boating. Meandering through many walkways and parks, including the Botanic Gardens River Walk, Hagley River Walk and the Millbrook Reserve Walk, it's an ever-changing seasonal beauty. This newly restored heritage building is the centre of all things creative and cultural in the city. 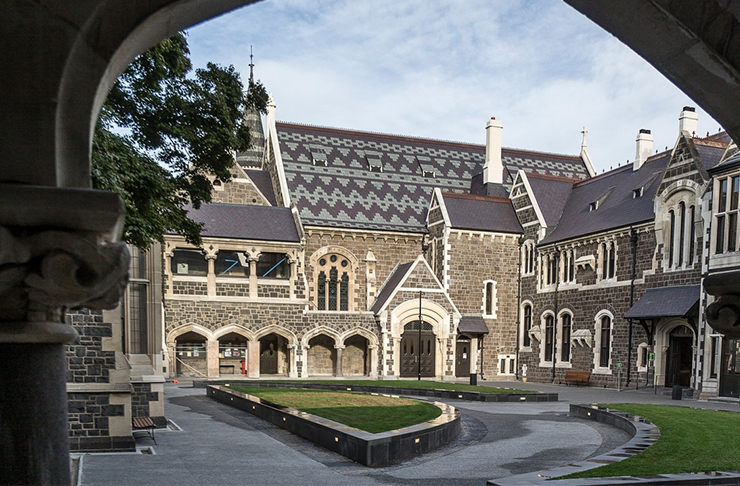 The Arts Centre is a Gothic Revival-style building that dates back to 1877 and is now home to a myriad of cafes, boutique shops, art galleries and markets. Grab a coffee at Bunsen, formerly a chemistry classroom before checking out Pepa, a beautiful stationery shop. Next, head upstairs to visit Frances Nation, a store dedicated to beautiful and durable wares from New Zealand makers and Indigo & Provisions for a carefully curated selection of fashion and homewares. Don’t leave before stopping at Rollickin’, the city’s best gelato shop. 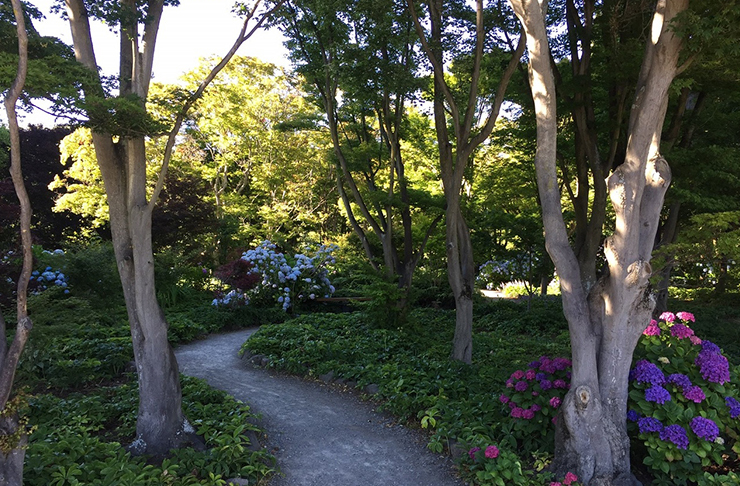 There’s nothing better than an afternoon spent wandering through the tranquil Christchurch Botanic Gardens. The idyllic spot makes it clear why Christchurch is referred to as the garden city. From the various conservatories to the rose gardens, it’s easy to spend hours meandering through the gardens. Don’t miss the Garrick House, home to the most extensive collection of cacti and succulents in New Zealand. Ilex Cafe is the perfect lunch spot. Sit outside or grab a seat inside the bright, light-filled space. Coined ‘New Zealand's Most Beautiful Street,’ New Regent Street boasts a selection of boutique shops and eateries, covered in La La Land-esque pastel facades. Originally opened in 1932, this bustling corner of town is a must-do on any Christchurch stay. Spend your afternoon strolling the street, eating and grabbing a snap of the trams as they roll on by. Get your pick-me-up at Caffeine Laboratory, and dine al fresco style on classic Kiwi fare, with everything from avocado toast to wagyu burgers. With a name similar to the season it embodies, the coastal suburb of Sumner is a little haven only 15-minutes from the city centre. With flavours ranging from Vietnamese coffee to sea salt caramel, cashew and popcorn, you’ll want to grab an ice cream from Utopia Ice before strolling along the beach and taking in Cave Rock. For the more experienced surfers, head to Taylors Mistake, just a short drive from the main village. The Christchurch Farmers’ Market is the perfect place to spend a sunny Saturday. Riccarton House is the oldest house in the city and is situated on one of the last native bushland areas in the region. If the setting wasn’t picturesque enough, the combination of fresh produce and live music make it all the more enticing. Here you’ll find stalls filled with everything from organic fruit and vegetables to fresh bread, cakes and macarons. If your tummy’s rumbling, don’t despair—there are plenty of vendors selling fresh pastries, pies and bacon butties—perfect for a bite on the river bank. Home to some of the greatest theatre in New Zealand, Isaac Theatre Royal has a rich history dating back to 1863. The beautifully restored theatre has played an important part in the cultural and creative history of Christchurch and continues to house a range of performances from Lorde to the Royal New Zealand Ballet. It also doubles as the venue for the New Zealand International Film Festival, is a space for fringe theatre performances, talks, weddings, workshops and stand-up comedy. There’s always something on, so be sure to check out the website for dates so you can experience the grandeur of one of Aotearoa’s most iconic theatres. Copenhagen of the Southern Hemisphere, Christchurch is decidedly a bike-friendly city and there’s no better way to get a lay of the land. Hire a set of wheels from the trendy Action Bicycle Club after grabbing a coffee from The Anchorage next-door. If cycling’s not your thing, you’ll feel safe on a Lime scooter. Venture to one of the many new shared spaces like Oxford Terrace, which is lined with brand new bars and eateries. If you’re in need of a whiff of nostalgia, the rows upon rows of DVDs at Alice Cinema will do just the trick. After perusing the aisles, catch an art flick or documentary at the boutique cinema. The movie snacks here are also worth a mention. Ask for a glass of wine to enjoy with your choc-top or sea salt chips. Finish your day at the city’s most loved bar. An emblem of the Christchurch rebuild, Smash Palace has found permanent digs on High Street in the central city. The original bus-converted-into-a-bar is still very much present but it now sits alongside a beautiful brick building and a beer garden. The interior is a cosy place to spend a few hours, but the outdoor seating is where Smash really shines. Come and do as the locals do with a pint of Bodgie beer or a G&T and truly feel part of the city.